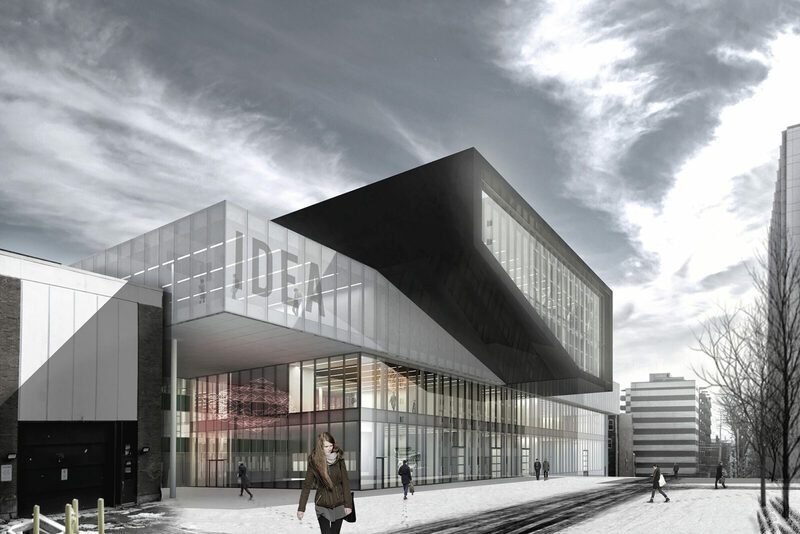 The IDEA building celebrates ‘making’ in engineering and design and makes it visible to the university community and the city. The building creates a living laboratory by integrating strategic data measuring points that monitor and record structural movements, thermal performance, indoor air quality, power consumption, and water use. The raw performance data can be used to create real life interactive learning tools that enhance students’ awareness of the behavior and performance of various building systems. The Engineering and Architectural professions are in a constant state of evolution with changes in technology and material science. The teaching and learning resources we create today must have the flexibility and adaptability to accommodate this ongoing development. The creation of multi-use, adaptable spaces that are configured to support and accommodate changes represent the best strategy for housing the inevitable changes of future learning needs.